When you find yourself up against formidable foes, add extra defense to your medieval armoured look. The Richard Riveted Oiled Chainmail Hauberk, constructed completely out of riveted rings of steel, offers comprehensive protection. Woven in a traditional 4-in-1 pattern, the rings create a long sleeve tunic form that reaches down to the knees on most wearers, while the riveted construction lends added durability to its whole design. Coated in oil to help protect it from rust, occasional oiling is required to maintain this chainmail hauberks quality. 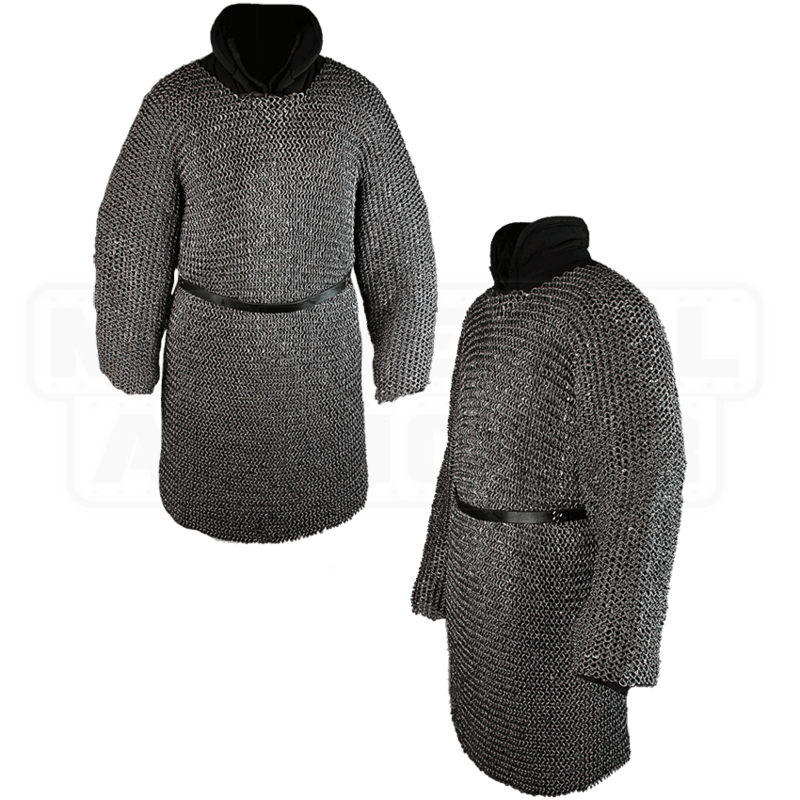 Wear this chainmail armour piece over a padded gambeson, as shown, for proper comfort and safety. While not included, a belt, as pictured, can help redistribute the weight of the armour piece for easier wearing. 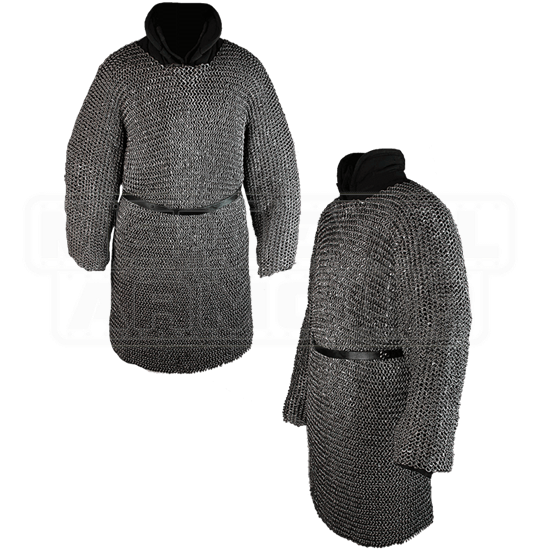 Whether your character is a wicked warrior, ruthless medieval mercenary, or noble knight, the Richard Riveted Oiled Chainmail Hauberk fortifies LARP ensembles and armoured costume looks alike.